A true pioneer and industry leader in Natural & Mild IVF, our client helps couples with pregnancy, fertility testing and preservation. 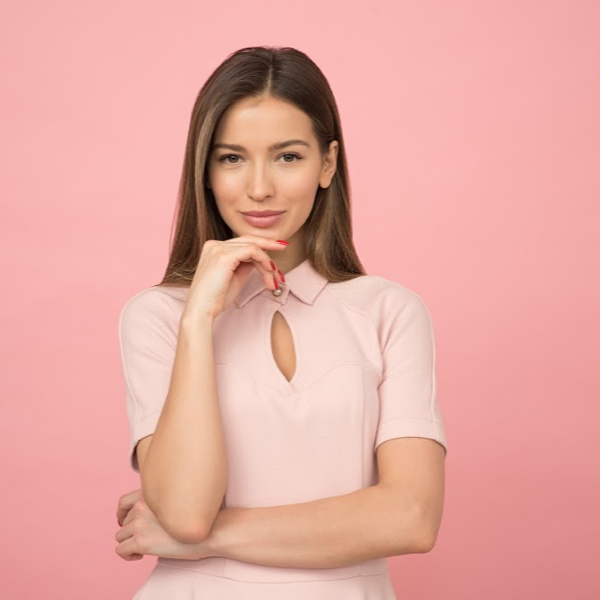 Its clinics throughout the UK serve local and international clients, who are attracted by its focus on egg quality and more women-friendly approach. In the centre of this client’s universe are its patients. We’re keen to retain our warm personalised service – with time for all patient questions – and attend to everyone’s specific appointment needs, while serving a rapidly growing number of patients. A 360° view of each patient’s communication, w cases and omni-channel. Actionable overviews of patient enquiries (cases), prioritised by medical urgency. Empowering both First-time and Right-person Enquiry Management. Greater operational efficiency for the patient support centre and in-clinic staff. Link to its health care database IDEAS and Eventbrite via two-way API, to deliver highly personalised, tailored and timed email and SMS appointment reminders. Aim for 100% Salesforce Lightning; and nil code. Not an easy goal. This solution involved Omni-channel, Live Agent, and LiveMessage, which was not available at the time in Lightning. Then, there was the API work, and Pardot, Microsoft Power BI Tools and Eventbrite integrations. 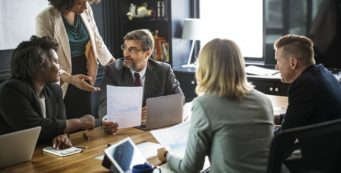 Use Platform Licenses extensively: The client had purchased mostly Salesforce Platform licenses (Employee Apps), which were much more cost-effective than the normal full service cloud licenses. 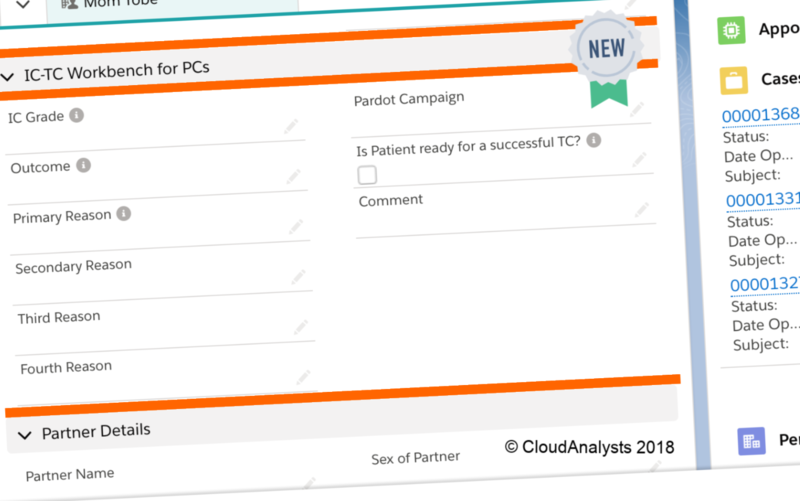 CloudAnalysts designed and implemented a solution in Salesforce Service Cloud with Pardot, that helps our client in patient communication and service business management. Service Cloud provides a 360° view of each patient’s contact with everyone in the clinic, over the history of that patient. Surveys, linked to Person Accounts, a.o. providing insights for individual service optimisation. Omni-channel: Patients connect through any channel they choose: real time Facebook or web chat conversations via LiveAgent & LiveMessage, or 1- and 2-way SMS text – all recorded. Besides Email-to-case and phone call logs. In 1 screen: Patients, appointments, cases and solutions. Prioritised by medical urgency (SLA). Measurable, Actionable Overviews: all customer questions; sorted cases by clinic, by SLA, and how far they are in being resolved. All in 1 view. 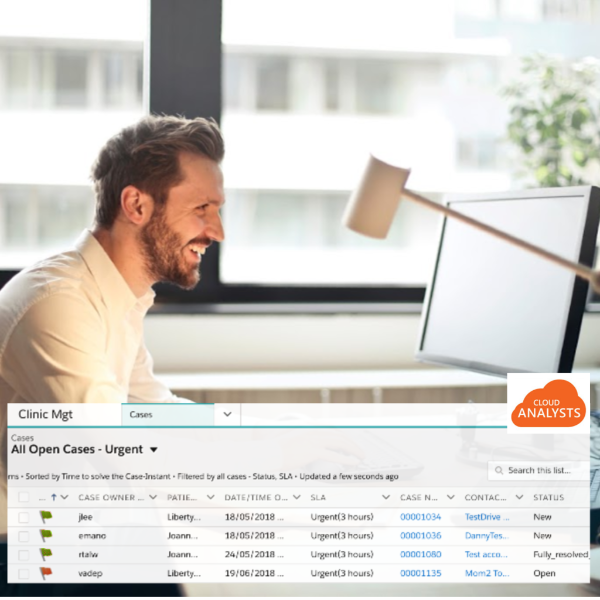 Insight into Actual Cases Management: easy to see exactly who is to handle and close which case. 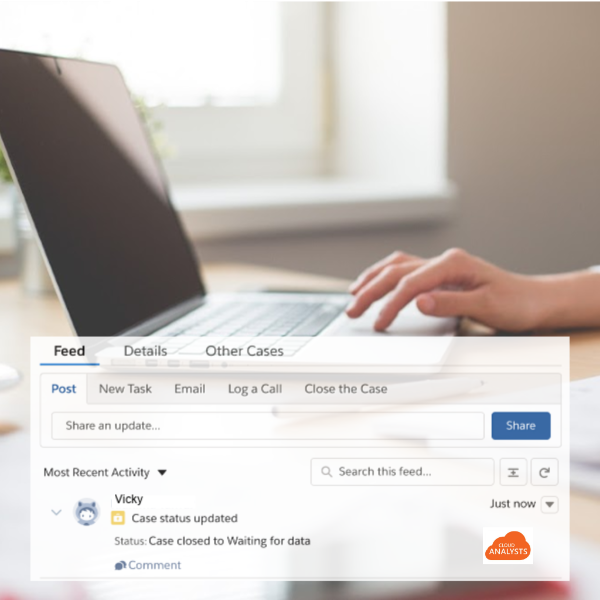 Easy to Manage Cases and Tasks: (re-)assign them, and so manage response time and everyone’s workload. To improve First Time Resolution %: Service Cloud provides a central point of contact for patient enquiries. 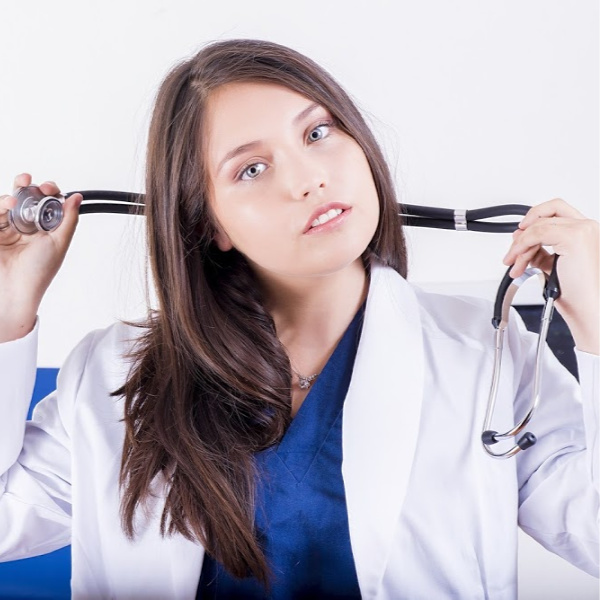 Enable Right-Person Resolution: case forwarding and sophisticated task setting capabilities enable cases and tasks to be handled timely by the most suitable person in the clinic. Prioritised & Reduced Case Handling Time. Service Cloud ensures patients are helped as fast, effective & efficient as possible. Refined max response time by query type. Flags for cases nearing response time SLA. No More Work Duplication or Oversight caused by Outlook distribution lists. Service Cloud assigns cases to individuals and queues. Triggered Emails to Patients confirm receipt of their quiry, clinic’s expected response time and case resolution. Patients feel heard, and won’t call 2-3 times for the same issue. Workbenches & Dashboards: IVF treatment is a process. Besides typical Dashboards to manage Cases, we also created a workbench for patient coordination through IVF process stages – with right consent forms, meds info, a.o. Shared Knowledge Base: Service Cloud Knowledge enables frontline agents, a.o., to provide up-to-date, correct answers to patients. No matter who the patient speaks to with in the clinic, the response is the same. Insight in Nature of Customer Queries: Understanding the questions patients have, helps the clinic to improve service and proactively provide that information to patients, e.g. through Salesforce Knowledge articles, email autoresponders, a.o. This leads to happier, better informed clients and enhanced business processes. Its new Service Cloud offers this client many insightful metrics and manageable measures. For the first time, management is fully aware of the nature and true volume of patient queries across all clinics. Just several weeks into adoption, Salesforce is already today a tremendous asset, and will soon be a cornerstone of its growing business success. 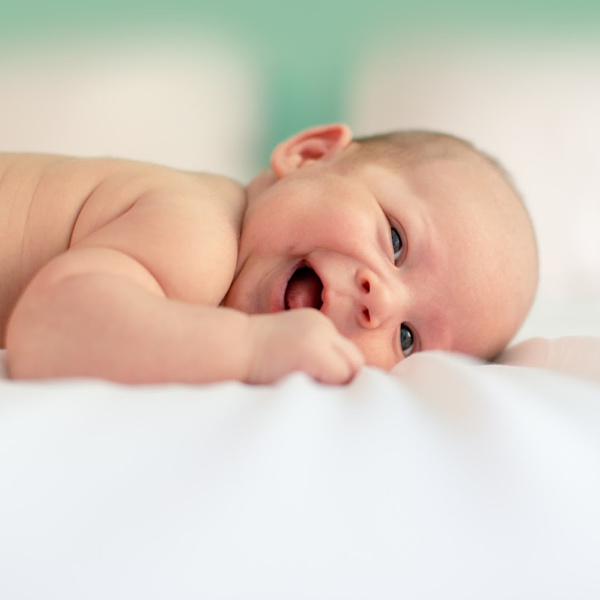 We hope you enjoyed this Salesforce Case Study on Healthcare Service Cloud. While Salesforce Health Cloud is definitely a stellar healthcare industry solution, it is not the only route to take. The right setup is driven by your company’s unique take on service, as well as regulatory requirements in your country. Be sure to embrace marketing automation as part of it. Ready to become a customer-centric service company?